Mulching | Our Farm by Earth Flora Inc.
Mulch is nothing else but a layer of dried weeds, grass, or leaves placed over plant beds. We use mulching to retain moisture, prevent weed growth, create an environment for beneficials, and as protection from erosion. Mulching has been most helpful the past few months with the onslaught of rain. Our beds have been protected from erosion that comes from the splashing of raindrops, which would otherwise remove our topsoil. 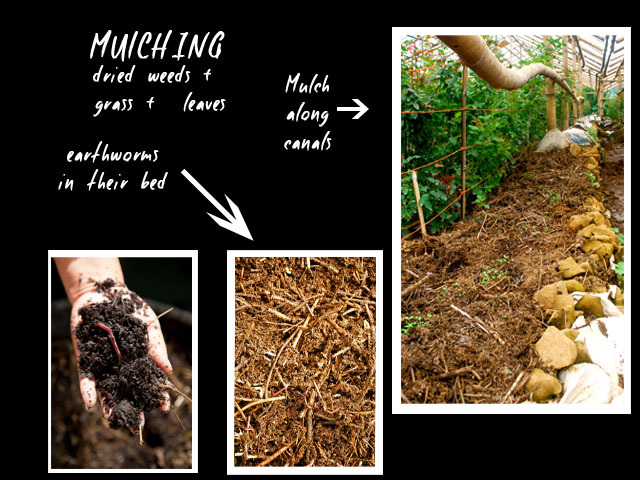 Mulching is one the easiest and most practical thing you can do for your vegetable or plant bed, or garden. also use rice straw, dried napier grass, wood chips or sunflower leaves. Dry them under the sun. 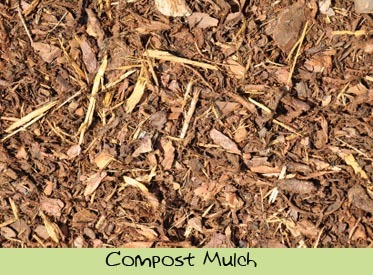 Place the “mulch” on top of the soil and around the base of your plants. And that’s all. Conserves the soil’s moisture: Water is lost through evaporation because of winds. A good mulch cover prevents a lot of evaporation. Prevents weed growth: Mulch placed at a depth of at least 2-3 inches prevents weed growth by smothering the weed seeds so that they don’t germinate. Improves the soil’s aeration: Mulching prevents crusting from hard rain. Thus, your plant roots can have continued access to air. Earthworms also love mulch. As they feed on the mulch, they create air tunnels. 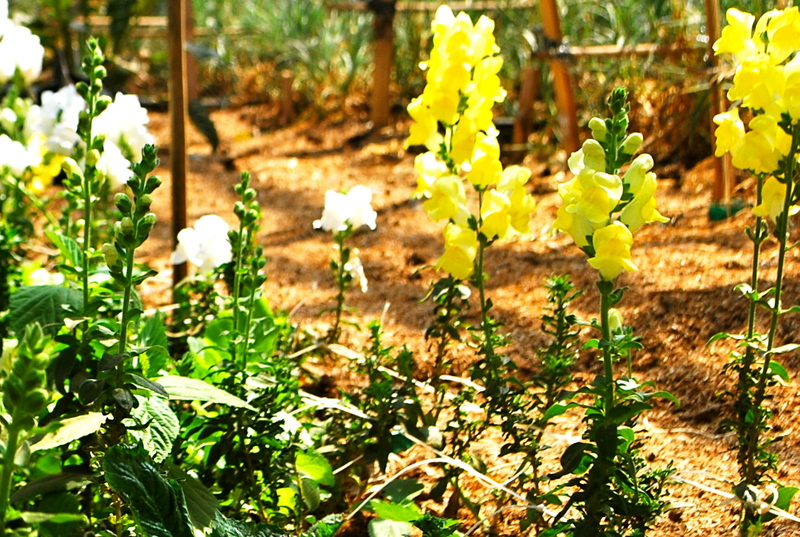 Provides a home for beneficial insects: Some beneficial insects are able to live under the shade of mulch. Mulch provides a nice home for insects that can help you with pest management. Prevents soil erosion: Mulch protects your bed by preventing rain from removing topsoil. 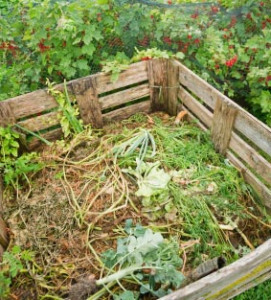 Adds organic matter to your soil: As the mulch decomposes, it adds organic matter to the soil. Now you have something to do with weeds, leaves, twigs and the bark chips in your garden. Nothing should be put to waste. Everything goes back to the soil.